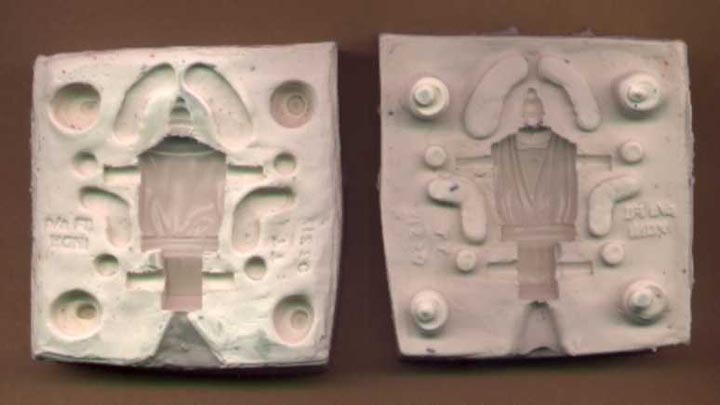 Presented here are the head and torso silicone molds for the Luke Skywalker (Jedi Knight Outfit) figure. Most action figure molds are created by pouring silicone over the original wax sculpting. The silicone hardens and the sculpt is released creating a mold. The mold is then used to cast hardcopies. 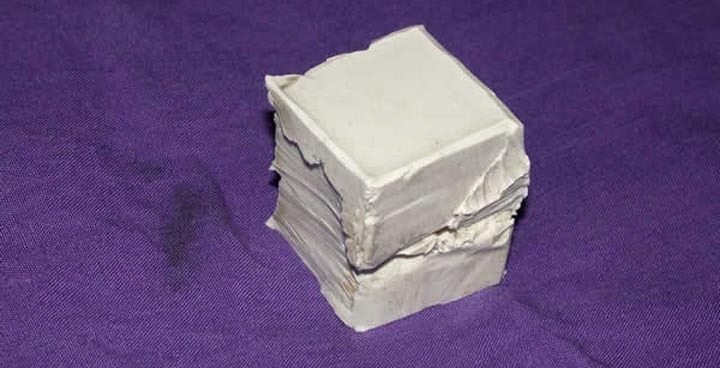 This mold, however, was made using a Kenner figure. Top Toys, the Argentinean distributor of Return of the Jedi figures, did not use Kenner figures for tooling. Instead they created their own figures and used Kenner figures as the basis. Viewers of this piece may find interest in reading about the sample carded Top Toys Luke Skywalker (Jedi Knight Outfit) which can be seen here.